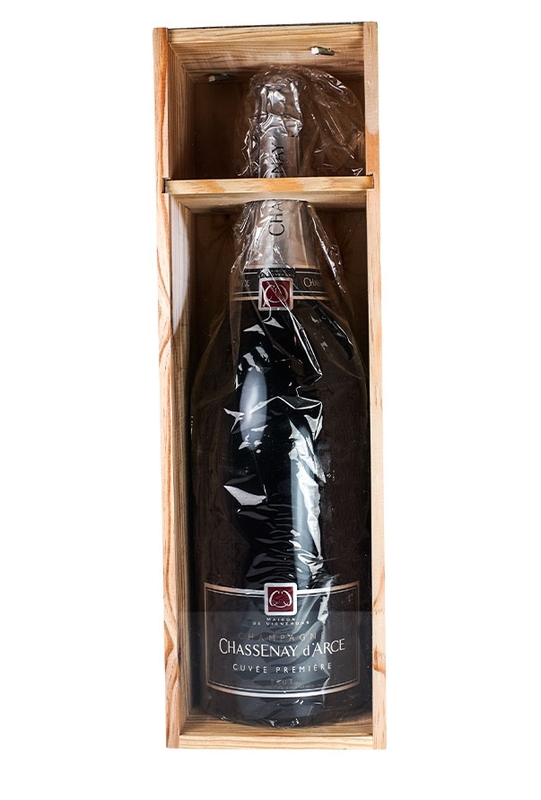 This Chassenay d'Arce, Cuvée Première Brut Champagne is in a 3 liter (Jeroboam) sized bottle which is just perfect for special occasions such as a wedding or Christening party. This Chassenay d'Arce, Cuvée Première Brut Champagne is in a 3 liter (Jeroboam) sized bottle which is just perfect for special occasions such as a wedding or Christening party. It is a non-vintage wine comprising 60% Pinot Noir, for power and richness, and 40% Chardonnay which contributes freshness and minerality. The dosage is 9 gr. of sugar per liter of wine. It has a lemon-gold hue with a fine mousse and a rich floral nose with hints of spice, honey as well as yellow stone fruits. The fresh acidity is well-integrated with the fruit and the finish is long and smooth. The house of Chassenay d'Arce Champagne is situated in the Aube region in the south of Champagne and it has received many plaudits from the critics in recent years. This cuvée was placed in the top 10 non-vintage sparkling wines in the world at the Effervescents du Monde awards in 2009. The grapes are grown by 130 families and the wines produced using traditional methods but with equipment of exceptional quality. The influence of the climate in the south of the Champagne region, the vines' exposure in a sheltered valley and the nature of the soil mean that the grapes can be harvested at full maturity at the end of the summer which enables the production of champagnes with a pronounced fruit character .